On the blue west coast of Lefkas, just 12km from the capital of the island, lies the traditional cosmopolitan village of Agios Nikitas. Agios Nikitas is a picturesque fishing village, that has managed to keep its traditional natural beauty and charm. It is the only village close to the sea in the west coast of the island and it has been declared by the Ministry of Environment as a traditional settlement. Its prime location makes it an ideal destination as it in close proximity to the most beautiful beaches and the city nightlife. The village is built amphitheatrically in a beautiful area full of age-long olive trees. The lush green of the hill and the endless blue of the Ionian Sea coexist peacefully and compose a unique scenery. In the main pedestrian road the visitor will find plenty of mini markets, tourist shops, traditional taverns and café - bars next to the beach. 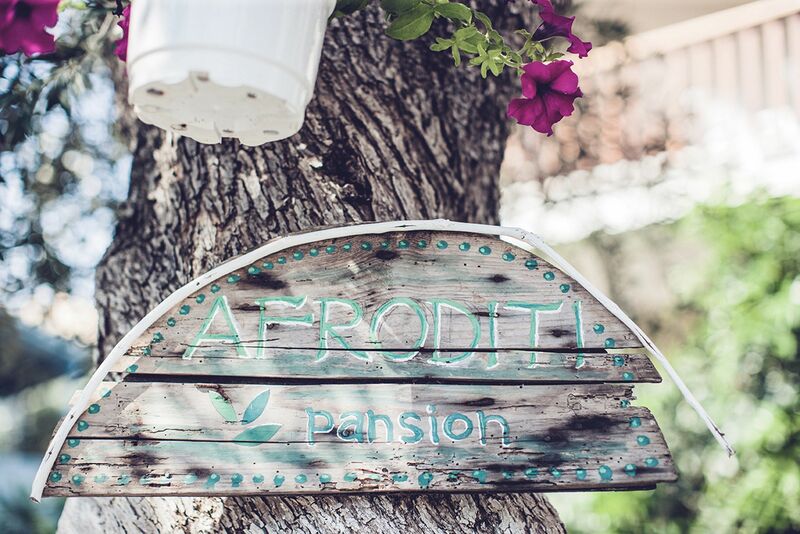 Afroditi Pansion is a family business that operates in accordance with the provisions of Hellenic Tourism Organisation. It is situated in the beginning of the pedestrian of Agios Nikitas, just 180 m from the village’s beach. 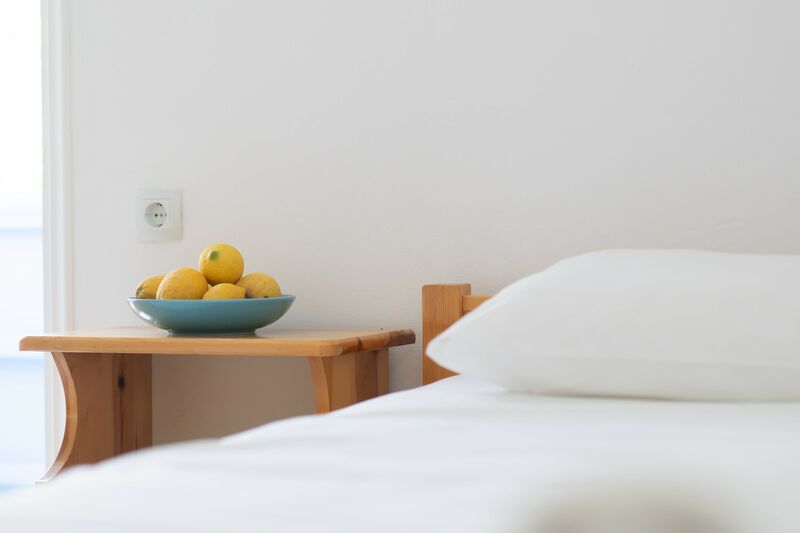 The pleasant environment and the friendly service in combination with the idyllic landscape will make your holidays unforgettable! Frendly staff, Close to the beach, Quiet area. If I go back to Lefkada, for sure I will choose Agios Nikitas and Afroditi Pansion again. When we arive Panos gave us a map and he spoke us about the island. Tolle Zeit erlebt, herzliche Familie, ehrliche Menschen, kann ich nur empfehlen!!! Guter Service, tolle Möglichkeiten um Urlaub zu machen, gemütlich, tolle Umgebung, Unternehmungen, Freunde gewonnen, würde jederzeit wieder hingehen! Meet friends and flies in a wonderful place.